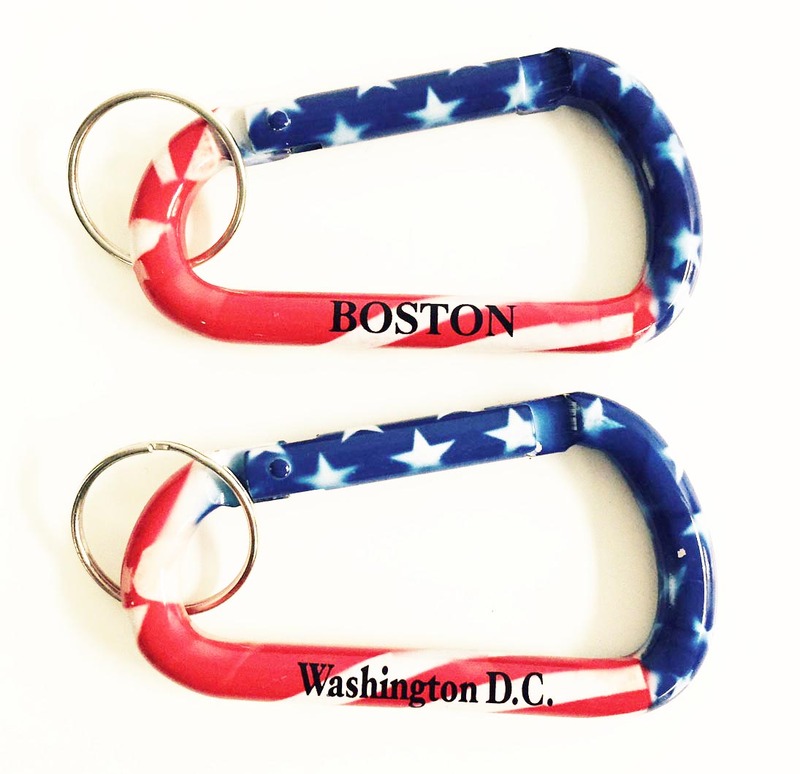 Our USA carabiner measures 3" and is attached to a 1" split ring. 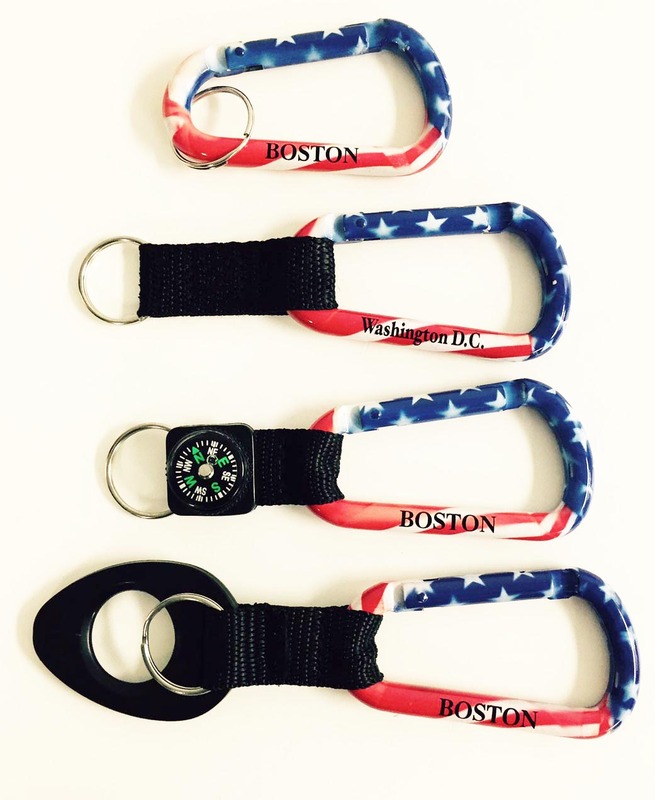 Also available are versions with a WEB STRAP, WEB STRAP w/SILICONE BOTTLE HOLDER, and WEB STRAP w/COMPASS. Mix and match the 4 versions to reach any quantity level. THESE ARE NOT FOR CLIMBING USE.